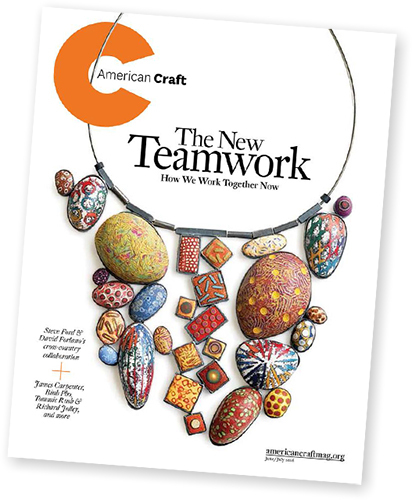 The June/July 2016 issue of American Craft is all about teamwork: struggles, triumphs, and lessons from working together. Included in the highlighted partnerships are jewelers and polymer artists Steve Ford and David Forlano. In this video trailer they explain how their 28-year, east/west partnership has survived and how their work has thrived. The magazine article (and of course all the luscious photos of their work) make us very proud of the trail they have blazed for other polymer artists. Be sure to read the comments and see more work on Facebook.